Even if you drink water from a BPA free bottle, eat whole, unprocessed, organic food, and regularly exercise, meditate like a monk, and sleep like a baby your efforts could still be undone by a "sick" home or workplace. With that being said, I'm excited to share with you this piece by Bryn Huntpalmer, a writer and editor for Modernize.com. The goal of Modernize is to empower homeowners with the expert guidance and educational tools they need to take on big projects with confidence, and to live well while doing it! Our houses are no longer a place where we go simply to sleep. From the boom in telecommuting opportunities to the drastic increase in homeschooling, families have begun to be home far more than they have been in the recent past. 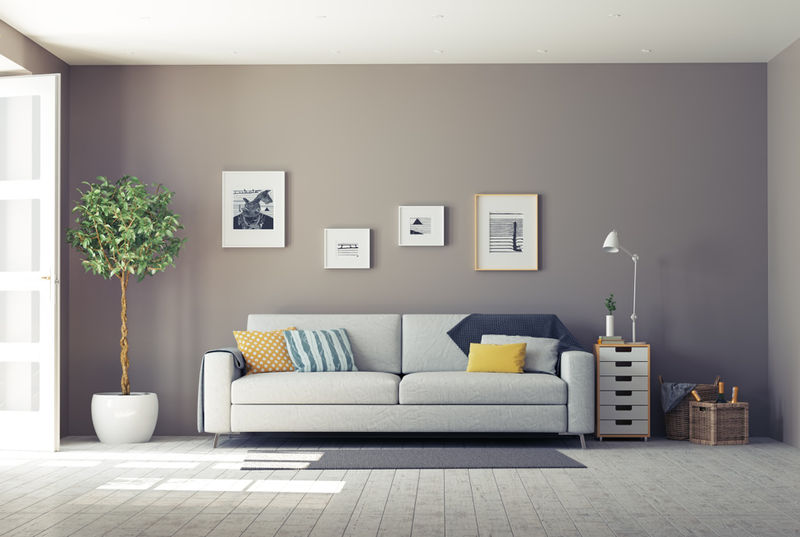 We at Modernize know that pollutants in our homes can lead to serious health conditions, so here are our quick tips for improving the health of your home. Volatile organic compound (VOC) emissions can cause the air in your home to be up to five times more polluted than outdoors, according to the Environmental Protection Agency. Most of these VOCs come from the paints, stains, flame-retardant coatings, and cleaning materials that we use, and they’ve been shown to linger in the air up for up to five years or more depending on the chemical. By opting for low- or no-VOC paints and stains, and natural cleaning products, you can greatly improve the air quality in your home. But what about the VOCs that are already present? Scientists at NASA discovered that plants such as peace lilies, boston ferns, and aloe vera are able to filter out harmful chemicals like formaldehyde and ammonia from the air naturally. By simply adding a touch of greenery to each room, your home health will begin to improve exponentially. immediately, you can begin to eliminate excess water on a daily basis that could otherwise turn into mold. If you are able to, upgrade your drywall to a fiberglass-coated, mold-resistant option in high moisture areas like bathrooms, kitchens, and basements. You've likely heard of the scandal unfolding in Flint Michigan, but incase you haven't, assuming that the water coming out of your faucet is clean might be a bad idea. The drinking water in our homes can become contaminated in a number of different ways, causing serious—and sometimes deadly—consequences for our family’s health. Your municipality will be able to provide you with results of water tests done in your area, but you can also personally test your own home’s water purity. If necessary, add a water filtration system in your home at every faucet and showerhead. By taking simple steps to decrease VOC levels, mold growth, and water pollutants, you are well on your way to keeping your family as healthy as possible in your home. Great ! Thank for writting. Cool writing. I never thought of that before. Such a nice post.